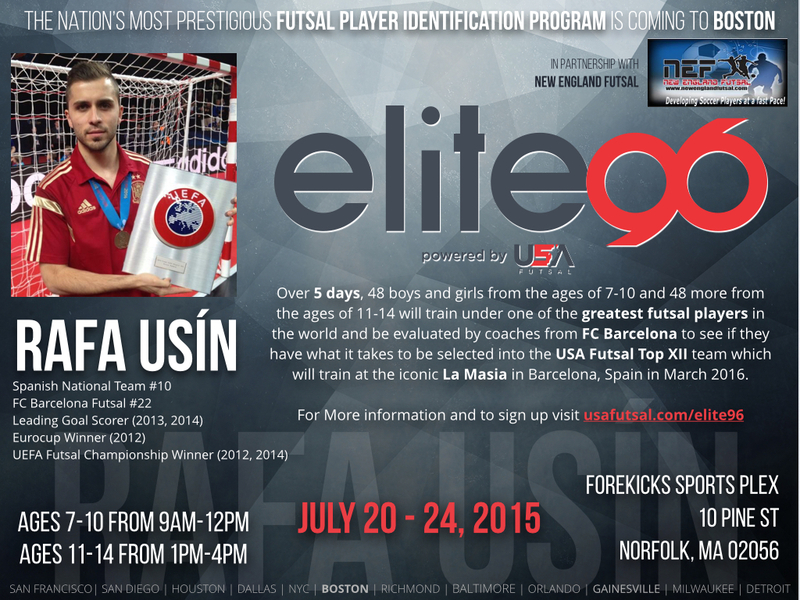 Over 5 days, 100 boys and girls ages of 7-14 will train under one of the greatest Futsal players in the world and be evaluated by coaches from FC BARCELONA to see if they have what it takes to be selected into the USA FUTSAL TOP XII team which will train at the iconic LA MASIA in Barcelona, Spain in March of 2016. This PLAYER IDENTIFICATION Camp IS designed for the MORE EXPERIENCED PLAYER! The training will consist of: 1hr technical, 30 minutes of futsal specific skill challenges, and 1 hour of competitive gameplay. Only 48 players (both boys and girls) will be selected to compete at each camp, for a total of 96 players per city. Local club coaches will assist the professional staff, in hopes they will be able to adopt the techniques utilized with their clubs after the camp is over. Our professional Taraflex fast footwork futsal courts.